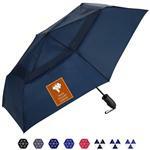 The Windjammer Vented Square Golf Umbrella. 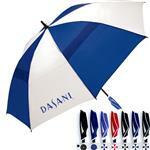 Quality and style make this a great golf tournament gift. This 62-inch canopy manual golf umbrella has a vented square canopy that is engineered to resist harsh winds along with fiberglass shaft and ribs that increases durability. Comes in Blue and White and Red and White. 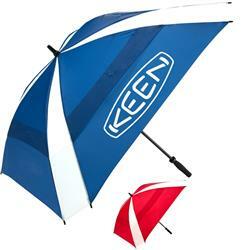 You will love this unique custom umbrella. 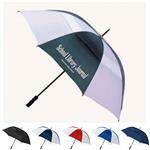 Square, vented, golf umbrella, windjammer, fiberglass shaft, rubber handle. 24 pcs. - 35 lbs.